Will the TPPA include a comprehensive deal for the dairy sector? The dairy industry does not expect the Government to sign a Trans-Pacific Partnership trade agreement unless it includes a comprehensive deal for the sector. 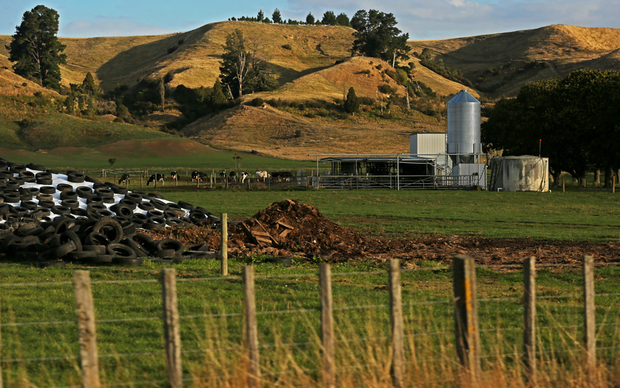 Dairy farm at Apiti, Manawatu. Ministers and officials from the 12 countries involved began meeting yesterday, with the aim of concludingconclude a deal by Saturday. New Zealand Dairy Companies Association (DCANZ) chairman Malcolm Bailey, who is observing the TPP talks in Hawaii, says the next 48 hours will be crucial. “We know at this stage that the offers that are being made are way below what needs to be offered to New Zealand for us to push on and seek a conclusion of these negotiations. Japan’s position on the automotive industry was a parallel for that, he said. Mr Bailey said the industry accepted that it would not get what it had originally sought from the deal, but the outcome still had to be worthwhile. ”If we go back to the beginning, tariff elimination over time was the goal. We have accepted the fact that we’re not going to get all of that, that we are talking about some quota access into markets. Mr Bailey said the United States was in the dominant position to decide the possible outcome for the dairy sector. He said the US, not New Zealand, was the biggest dairy exporter in the TPP region and it needed to consider the benefits it would gain from breaking down dairy trade barriers. “China’s being talked about as a potential further member of TPP, so we just think that the US in particular is not reading this the right way, in terms of the potential growth of their dairy sector and growth of dairy exports, because if they don’t do an ambitious deal on dairy trade here, now, they’re really snookering themselves, going forward. Federated Farmers said New Zealand should walk away from the Trans-Pacific Partnership trade deal if there is nothing in it for the industry. An anti-TPP protest in Washington DC, earlier this year. Its dairy spokesman, Andrew Hoggard, said he was disturbed by reports that other countries at negotiations in Hawaii were trying to shut out New Zealand milk from their markets. Mr Hoggard said the current tariffs on dairy exports to Japan and the United States make exporting to those countries uneconomical for New Zealand farmers. 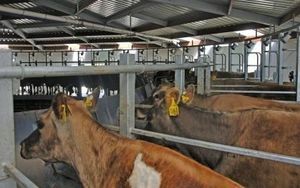 New Zealand’s special agricultural trade envoy, Mike Petersen, who is also there, said concessions being offered so far to reduced dairy trade restrictions were not good enough, and there would need need to be progress on that over the next two days before New Zealand could accept the deal. 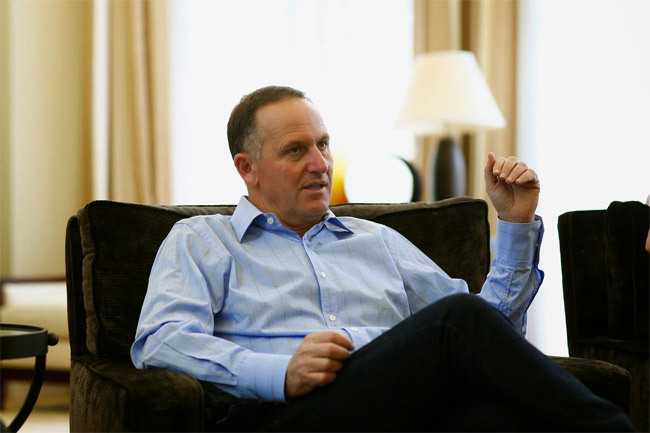 What is the real agenda behind John Key’s drive to change the New Zealand flag: Due authority – A very silent coup? “Changing the flag is a constitutional matter that needs to be taken to the people”. 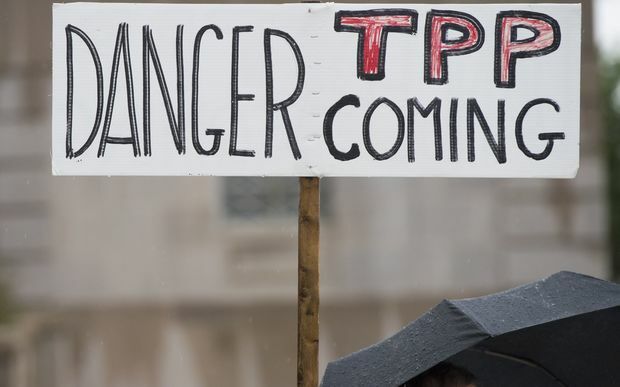 TPPA – Flags & The Assassination of the New Zealand Democracy. Fly the Red Blue White and Say No to Prince John and the TPPA! 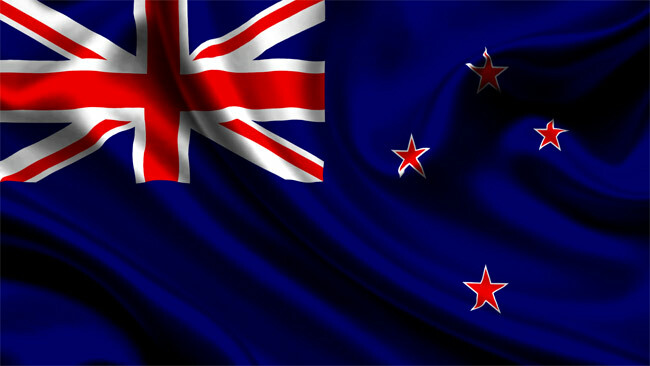 The current NZ Prime Minister has been asked (as have previous Prime Ministers) to remove the New Zealand flag and replace it with their [the cabal’s] own made up constitution. This would also take out the treaty as it would not be recognised at all; and place corrupt Maori in the driver’s seat with the cabal to prevent another land war. What is not understood, because of the amount of infighting and mixed agendas within Maoridom is that they have the tools in their hands to unpick the control of the British Empire / Cabal / Illuminati / Khazarian Zionists in New Zealand. The Cabal are very well aware of this and have killed people in New Zealand to try to stop it – because they know that if their control is destroyed in New Zealand, the same process can be repeated WORLDWIDE. The nature of heraldry dates back to feudal times when the flags where not just things you waved but a coat of arms stated to whom you pledged allegiance to. It showed what your rank was, entrenched your legal status from what power or Due authority your knight exercised his rights and privileges, the Crown or the State. One of the frustrating things about the change being made to the NZ flag is that no one has considered that change of heraldry and how it impacts on the very notion of DUE AUTHORITY. As a graduate of both political science and history the flag issue has been gnawing away in my head for months. I knew that the change had major legislation consequences but I could not put my finger on what the con being waged was exactly. It was only when I went back and began to research what exactly was the aim of heraldry and of what it importance was to the legislative nature of the states authority, that I came across the term DUE AUTHORITY which I recognised immediately. It was at this point the penny clicked on just how dangerous any change to our flag is DUE AUTHORITY in a nation like NZ is represented on the NZ flag by the Union Jack and signifies that we are a constitutional monarchy. The point is underscored in the beehive sanctioned article ‘New Zealand’s constitution – past, present and future. Woman declared dead by doctors in Germany wakes up in funeral home.. The letter indicates a wide-ranging privatisation and globalisation strategy within the Agreement which aims to severely restrict “state-owned enterprises” (SOEs). Even an SOE that exists to fulfil a public function neglected by the market or which is a natural monopoly would nevertheless be forced to act “on the basis of commercial considerations” and would be prohibited from discriminating in favour of local businesses in purchases and sales. Foreign companies would be given standing to sue SOEs in domestic courts for perceived departures from the strictures of the TPP, and countries could even be sued by other TPP countries, or by private companies from those countries. Developing countries such as Vietnam, which employs a large number of SOEs as part of its economic infrastructure, would be affected most. SOEs continue to fulfil vital public functions in even the most privatised countries, such as Canada and Australia. 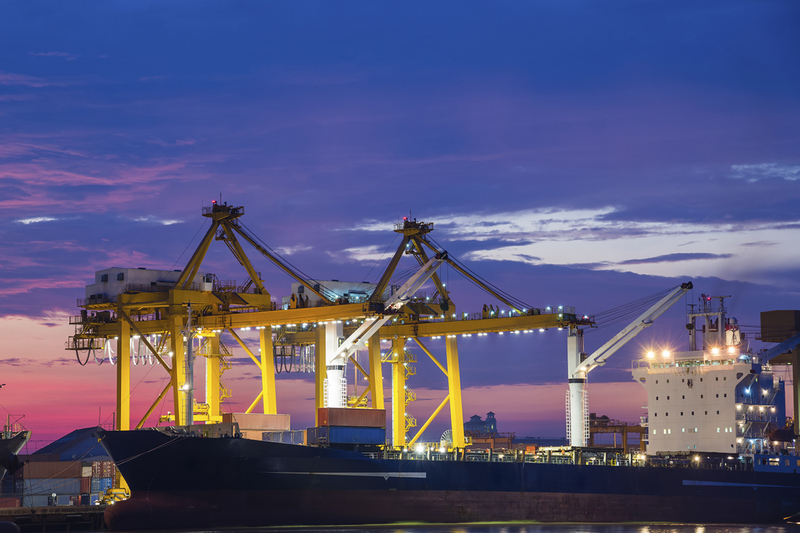 The TPP is the world’s largest economic trade agreement and will, if it comes into force, encompass more than 40 per cent of the world’s GDP. Despite its wide-ranging effects on the global population, the TPP is currently being negotiated in total secrecy by 12 countries. Few people, even within the negotiating countries’ governments, have access to the full text of the draft agreement, and the public – who it will affect most – none at all. Large corporations, however, are able to see portions of the text, generating a powerful lobby to effect changes on behalf of these groups and bringing developing countries reduced force, while the public at large gets no say. The TPP is part of the TPP-TISA-TTIP mega-treaty package, which together proposes to encompass more than two-thirds of global GDP. LAS VEGAS (AP) ” The Mob Museum in Las Vegas is setting up an exhibit dedicated to the FIFA corruption scandal. The permanent display entitled “The ‘Beautiful Game’ Turns Ugly” will open at the National Museum of Organized Crime and Law Enforcement in downtown Las Vegas on Sept. 1. It will feature photos, media clippings and narratives about accusations of bribes and other criminal activity in FIFA. A U.S. indictment citing the Racketeer Influenced and Corrupt Organizations Act, a federal law known as RICO, was filed against senior FIFA officials in May. 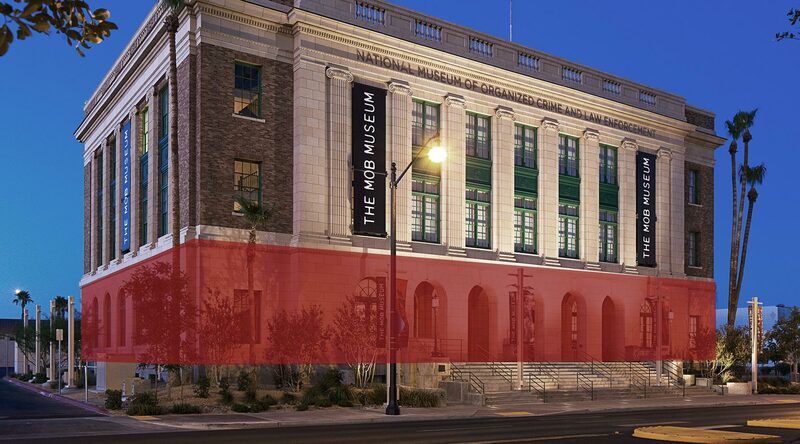 The museum’s executive director said in a statement Tuesday that the new feature would be of interest to Vegas’ many foreign visitors. If tracing this lineage from our earliest ancestor seems inconsistent or spotty, that’s because it is. We have a makeshift model of human history that had been cobbled together by geneticists, archaeologists, anthropologists and biologists. Finding common ground and an overall consensus among these different disciplines makes finding the truth even harder. Looking back at human history is an optical illusion; new archaeological discoveries are always challenging what we already know, and constant revisions are being made. 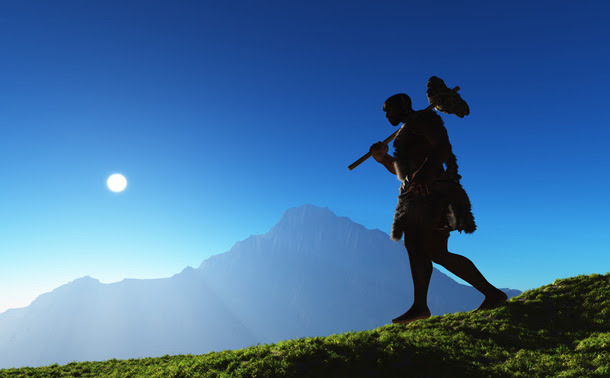 In 2013, a major find would cause further controversy within the already complex grouping of hominids. In Dmanisi, Georgia, an archaeological dig was under way. After finding a series of four similar-looking skills during the dig, the fifth one looked irregular. This skull had a small braincase, large teeth and a powerful jaw, but judging by the skull’s shape and structure, it must have been attached to a long-limbed, human-like body, not a short-limbed, muscular body like Australopithecus. An apelike skull attached to a human body are features that never co-existed prior to this discovery. This has led scientists to believe that the Homo Subspecies of Ergaster, Erectus, Rudolfensis, Habilis and so forth, may have actually been one species that simply looked different – much like the varying appearances of different races we encounter today. This find has been known as “Skull 5”, and has already caused a debate about how the homo species should be classified. This finding will spawn a debate until a newer find is unearthed and new data is presented. These revisions will continue until we either run out of fossils or more advanced technology allows us to shed light on this ongoing mystery. The scientific dating of species that have been found is volatile by nature. Lucy, the Australopithecus specimen went through several date revisions since she was found. Anthropologist Susan Martinez outlines the numerous times Lucy has been re-dated to fit with contemporary theories. In the 1950’s following Lucy’s discovery, she was estimated to be at least 500,000 years old. This number changed in the 1970’s to at least a million years old. After new discoveries in Ethiopia, that number jumped to two million. The wide estimates between these broad and sweeping figures are known as scatter in archaeological terms. A species known as Petralona Man is said to have existed between 70,000 to 700,000 years ago. Another known as Morocco Man was first estimated to be 40,000 years old, until further tests actually placed him at 125,000 years old. The prevalence of scatter across these finds makes it no wonder why our lineage is so difficult to trace. How is it that these figures come to be so slippery and hard to pin on a timeline? The techniques used to calculate the date of a fossil aren’t perfect and are subject to error. A technique known as radiocarbon dating works by measuring how levels of carbon have dropped in a bone fragment or artifact over time. Exposure from the sun on a piece of bone, for example, accumulates nitrogen in the bone fragment. This nitrogen turns into carbon-14, which acts as a measuring guide for how old an object is. Over time, carbon-14 levels decrease – these levels serve as a yardstick for the age of the object. This technique is most accurate up to a period of 60,000 years – anything longer and results are often unreliable. The level of carbon decay may have varied across different time periods in the past. Some species may have had less exposure to sun, or climate change may have influenced the amount of carbon in the atmosphere. The higher the fossil is in the surface of the Earth, the more likely it comes into contact with weather, animals and other agents. Even exposure to coal can contaminate the carbon levels in a finding, yielding highly different results. A finding in France known as the Fontechevade Man has been estimated to be between 40,000 to 800,000 years old just based on readings of nitrogen levels alone. Scientists have even resorted to using different levels of dating to counterbalance the levels of scatter that may occur from carbon dating. One technique known as faunal dating looks at the animal remains of species that may have existed millions of years ago. Traces of these species can let us know how old an object is, but can yield confusing results. Susan Martinez offers a good example: We have estimated Trilobytes (an ancient crab-like species) to have existed at least 550 million years ago – the Cambrian era. But any finding with traces of Trilobytes is said to be from the Cambrian era. How do we know Trilobytes are 550 million years old? Because Trilobytes existed 550 million years ago. This argument goes in circles and explains why a technique like faunal dating is unreliable in reading human fossils we encounter. We use fossils to date rocks, or rocks to date fossils – we are left with only relative dates of which species lived when. These are problems that arise when trying to date these fossil finds. Each new find re-writes history, which is written again, further confusing our already obscure and complicated origins. In 1971, archaeologist Lin Ottinger was digging in the Moab region in the state of Utah, an area known for heavy mining operations. He came across a patch of dark brown stained dirt over the otherwise white colored sand. He began to dig, until his knife came across something solid. Thinking it was a piece of leftover mining equipment, he continued to dig until he came across a fragment of human bone. The problem was the six feet of solid rock he was digging through to reach the specimen was estimated to be at least 100 million years old. Some bone fragments from ‘Moab Man’. They are stained green by the copper content of the soil. Image source. There is a term in archaeology known as an in situ finding. “In situ”, is a Latin term meaning “in position”, the idea being that a finding has never been moved, adjusted or manipulated from its original position upon discovery. Given the age of the rocks, the specimen would have to be just as old. Knowing that this finding would be controversial but important, he left the artifact as he found it, only uncovering what would be sufficient for further research. Ottinger brought this discovery to the attention of Dr. Marwitt, professor of anthropology at the University of Utah, who then assembled a small team to continue research. They discovered another skeleton, exactly the same age as the first, but with fragments missing, most likely due to mining. Scattered around the region were fragments of bone and teeth, believed to be from the existing two skeletons. Further research found that the first skeleton had been buried in a kind of fetal posture – a position similar to that used by native tribes during burial ceremonies. This discovery has been known as the “Moab Man”, and has strangely been buried under the rug by the scientific community, who has refused to age date the bones. The Moab Man has been dismissed as an attempt by Christian fundamentalists to prove creationism and the idea that humans existed with dinosaurs. Putting religious debate aside for a moment, suppose that this finding really was as old as the dirt it was buried in. Would we not have to rewrite our entire understanding of human origins, stating that humans were at once anatomically modern, before devolving into Neandertals only to re-emerge as homo sapiens? A hoax? Probably not. But an anomaly? Yes. Even the most fervent of Christian fundamentalists would have a hard time digging through six feet of 100 million year old solid rock, buried under ten feet of sand, to implant an anatomically modern correct human skeleton, only to seal the rock and bury it again. This find is much to elaborate to be considered a hoax, by creationists or anyone else for that matter. Since its discovery, the Moab Man has been abandoned, with minimal exposure. A second anomalous artifact was discovered in 1881 in the Red Crag region of England. Red Crag formations are large segments of rock that date back approximately 2-2.5 million years ago during the early Pleistocene Era. The biggest of these formations found in the Suffolk and Essex regions of England. They are given their name for their deep red pigmentation. These rocky deposits are among the oldest formations on Earth, and finding any trace of human interaction would raise attention. Fossilized shell found by H. Slopes, appearing to show a face carved into the surface. A geologist named H. Slopes, while digging within this ancient region came across a small, round fossilized shell, colored deep red with pigmentation after being embedded in the red stone for thousands of years. On the other side of the shell was a crude but unmistakeable engraving of a human face, depicting two round eyes, a triangular nose pointing downwards, and a thin mouth roughly in the shape of a smile. Similar Red Crag fossils when scratched on the surface show white underneath. The shell was extremely brittle – it would be hard to imagine engraving its fragile surface. Had this fossil been any younger, the eyes, the triangular nose and mouth would have shown traces of white – the fossil’s original color being revealed after the red pigmentation had been cut through. Instead, the design of the face was engraved into the red stone, meaning the engraving had to occur at a time similar to when the rock was originally buried into the Earth; sometime during the early Pleistocene. Artwork and depictions of human faces were a feat unique to Cro Magnons. But Cro Magnons did not appear until the late Pleistocene, 60,000 years ago. This scenario hints at the possibility of Cro Magnons arriving much earlier than expected, or at least being present during the early Pleistocene. Another strange piece of the puzzle. The above article is an extract from Chapter 2 of “The Human Anomaly”. For more information, click here.